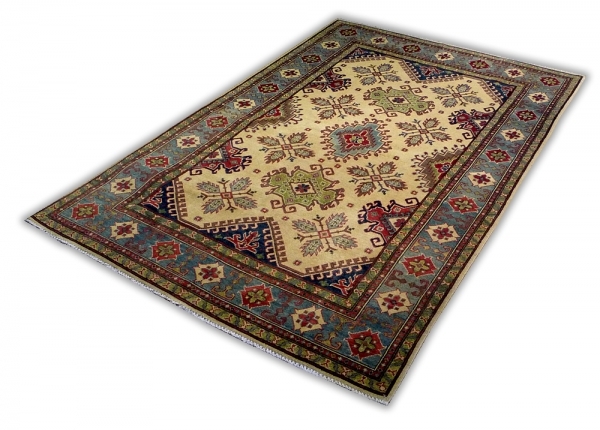 The quality of this Afghan Kazak is excellent. 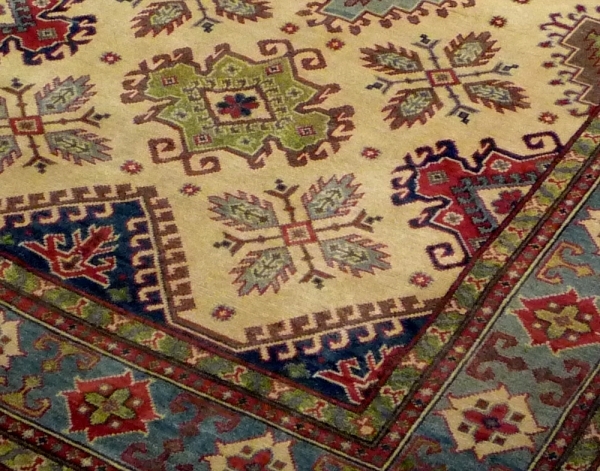 This piece is handmade using only the best Ghazni wool and veg dyes. Using green soft blue and gold, its low pile base gives this new runner an antique look. Knot density: 100 000 – 200 000 knots per square meter.